Holiday lettings in France are one of the most popular places to stay when traveling to France for holidays. Holiday Lettings can range from a small holiday let for 2 near the South of France beaches to a large authentic French Chateau surrounded by vineyards perfect for weddings and celebrations. By renting or letting a holiday villa in France you can enjoy all the home comforts and flexibility that self-catering offers you. No having to set your alarm for breakfast or queue at the hotel breakfast buffet, just a leisurely breakfast at whatever time you choose in the garden, on the terrace or next to your private swimming pool. France is still the number one tourist destination in the world so as you can imagine the holiday lettings market is enormous. 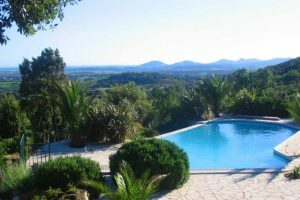 The most popular areas for holiday lettings and in particular holiday villas or gites with pools is the South of France and this is our speciality! The South of France starts just below Monaco and goes all the way down to Collioure which is just next to the Spanish border, passing through the French Riviera, Provenceand Languedoc (or Occitanie as it is now officially called!) We have a great choice of holiday lettings for you to pick from and with our intense knowledge of the area we can ensure that you find that perfect holiday property. Why not take a French holiday letting on or near to the beach, if a relaxing holiday is more your thing? A South of France holiday would not be the same without a trip to at least one of the wonderful sandy beaches. You can choose from a large beach with restaurants and bars, private areas with comfortable sun-loungers and a wide range of water sports to a secluded cove off the beaten track, a great place for a picnic. 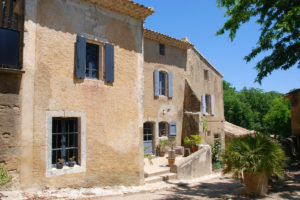 If you are new to letting a holiday villa in France, then the team at South France Villas can help you find your perfect holiday accommodation. As mentioned the holiday letting market is huge and there are lots of companies to choose from, along with individual private owners who advertise on the various direct websites out there. We understand that you want to get the best deal and so do we whenever we are booking our holidays! Unfortunately one of the drawbacks of the internet is the number of scams that are out there. The scammer’s software is becoming so sophisticated and emails look so genuine, it can be extremely difficult to know what is real and what isn’t. You really do need to be careful, ensure that you always speak to somebody on the phone (or even skype so you can see them!) and verify that they are the owner or the manager of the holiday let. Many of the direct sites are now charging the clients a booking fee so please do ensure that you are aware of the small print. Why book a holiday let or holiday rental with South France Villas? The Company was established in 2000 after years of working in the French tourism industry and has grown organically purely by recommendations and word of mouth, we now have over 200 quality properties in our portfolio. We try to make things easy for you to book the perfect villa and have complete peace of mind that the right villa has been chosen. For all our holiday lettings a 30% non-refundable deposit is required at the time of booking, and the balance is payable 8 weeks before your arrival date. The contract is between you and the owner and as the agent we will stay in contact with you from the time of your booking until your departure from the holiday let. Find out more about us here. Holiday lettings in France can sometimes be quite different from the rest of world! The French do like to have their own rules! It is quite normal for an end of stay cleaning fee to be charged along with a price per person for bedlinen and towels. We try very hard to ask our owners not to charge these extras, however we do not always succeed especially with the older French owners and they tend to have the best holiday villas especially the French Villas with pools! A breakages deposit will be asked for and this will vary depending upon the villa. When you check into your villa think about it like when you hire a car, have a good look round and point out any breakages or things that are missing. 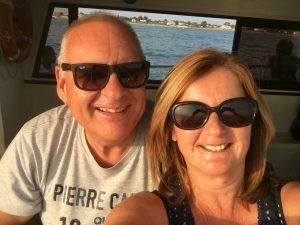 So if you are thinking of coming to the South of France and letting a holiday property then please do get in touch and we will do our upmost to help you find your perfect property.